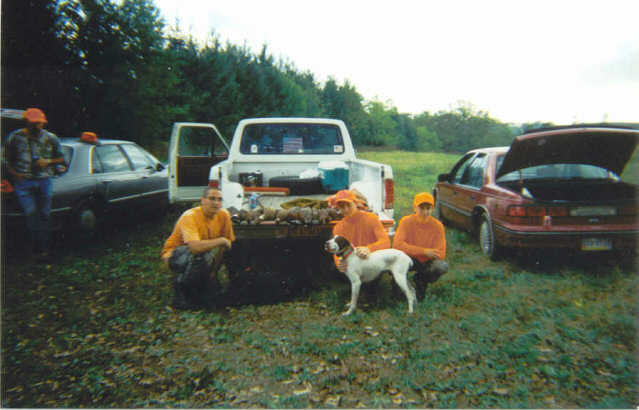 This was a special youth pheasant hunt held at Clover Hollow this year. As I get more details I'll put them up. 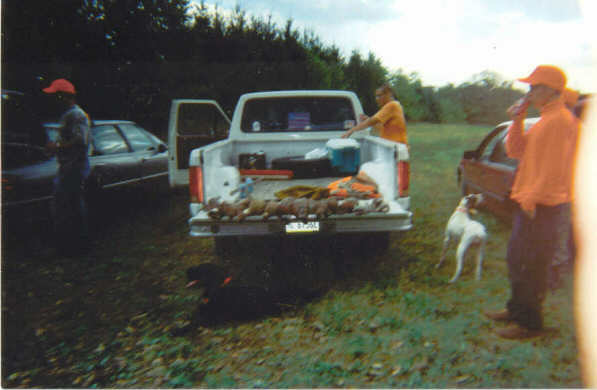 If you look close under the tailgate of this truck you can see the red collar of the black lab. 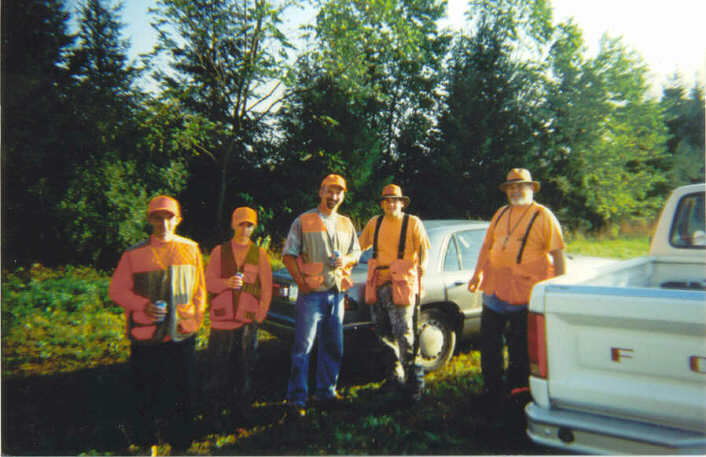 In bottom photo here are the participants: Rick Sando III age 15, Matt Sando age 13 (first Pheasant that day) Rick Sando Jr., Chuck McCole age 15 and Dan McCole.